Thank you for participating in #3DST 19 – Age, and Congrats to John Fino (tauricity), winner with Hallet And Davis Piano, 1896, in which he tells a touching personal story through model annotations. John picked ‘Autumn’ as this week’s topic. You’ll only need to step outside for inspiration (well, on our half of the hemisphere anyway). Make a 3D scan of something related to Autumn by Thursday, October 9th (find great 3D scanning apps here). 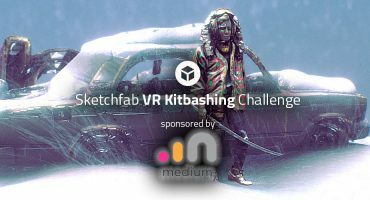 Share it on your own Sketchfab account with #3DST20 in the title. Update: Congrats to 604scans, winner with Halloween Skull, the perfect way to scare his kids every year!